Glen Echo’s Stretch Tech Full Zip Jacket features a Stretch Tech shell with sueded interior to offer extreme flexibility and warmth. The stand up collar allows for improved weather protection and the zippered side pockets ensure you don’t lose your stuff! 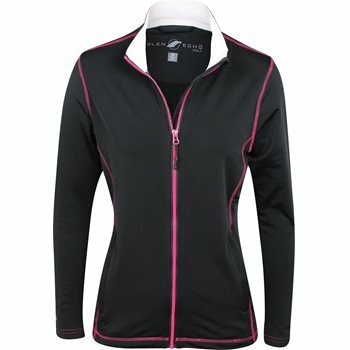 The athletic princess line of the jacket provides for a feminine fit. Stretch Tech shell with sueded interior for flexibility and warmth. Stand up collar for improved weather protection. Athletic princess line for feminine fit. I like the quality of this brand, but the sizes do tend to run small.